China said Monday it is investigating ex-Interpol chief Meng Hongwei over alleged bribery claims, days after the official had been reported missing. 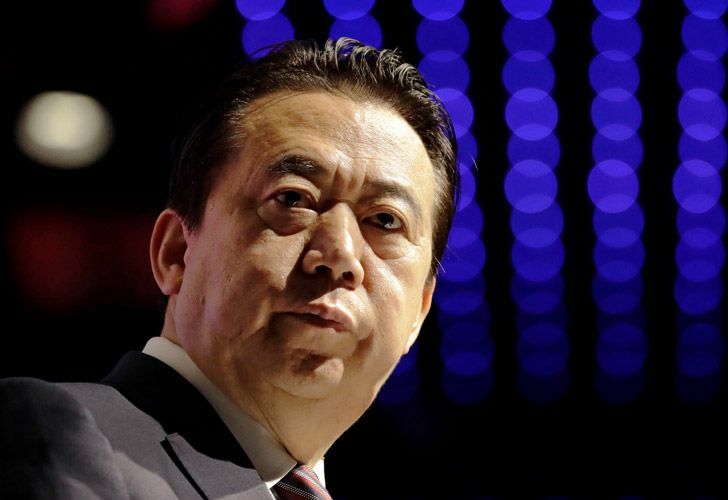 The former president of Interpol, Meng Hongwei, who mysteriously disappeared last month, is under investigation for bribery and other crimes, China’s anti-corruption authorities announced Monday. The 64-year-old, who is also China’s vice minister for public security, went missing while on a trip home to China in late September. Authorities said he was being investigated by China's National Supervision Commission due to his own "willfulness and for bringing trouble upon himself." The statement did not specify whether Hongwei was under arrest, or even still in China. “Suspected law violations have caused serious damage to the party and public security agencies,” the Chinese Ministry of Public Security said in a statement in Chinese. “A lesson must be learned from that and conclusions must be drawn." Hongwei’s unusual case erupted into public view after his wife, Grace, reported him missing to French police on Octo 4. She said she received a WhatsApp message from her husband on September 25 with a knife emoji followed by the message “wait for my call.” She then lost contact with him. She told reporters Sunday she believes her husband is in danger. After acknowledging reports of Meng’s disappearance, Interpol – the international police cooperation organisation based in Lyon, France – requested clarification from Chinese authorities. Shortly after the Communist Party’s internal graft investigation body said Meng was under investigation, Interpol said he had resigned as president. Hongwei became the first Chinese person to head Interpol in 2016. In his absence, South Korea’s Kim Jong Yang is now serving as Acting Interpol President. The new president will be elected in Dubai in mid-November. In recent years, China has seen a number of high-profile disappearances of senior executives, government officials and heads of state-owned companies as President Xi Jinping’s vast anticorruption campaign continues. Zhou and other senior figures prosecuted in Xi's anti-corruption crackdown were mostly convicted of corruption, but officials have also said they were accused of "conspiring openly to usurp party leadership." The revelation that China's system of shady and often-arbitrary detentions could ensnare even a senior public security official with international stature has cast a shadow over the image Beijing has sought to cultivate as a modern country with judicious legal standards.